Hooray for Kinder and five and six year olds!!! What a fun age to teach! We are joyfully diving into living curriculum by Simply Charlotte Mason next school year, and will be using the books listed on SCM’s free curriculum guide (1st grade books, although much of SCM curriculum is designed for “family study” and can be used with any age). I hope that some of you will decide to join us in this exciting Charlotte Mason inspired homeschool adventure! 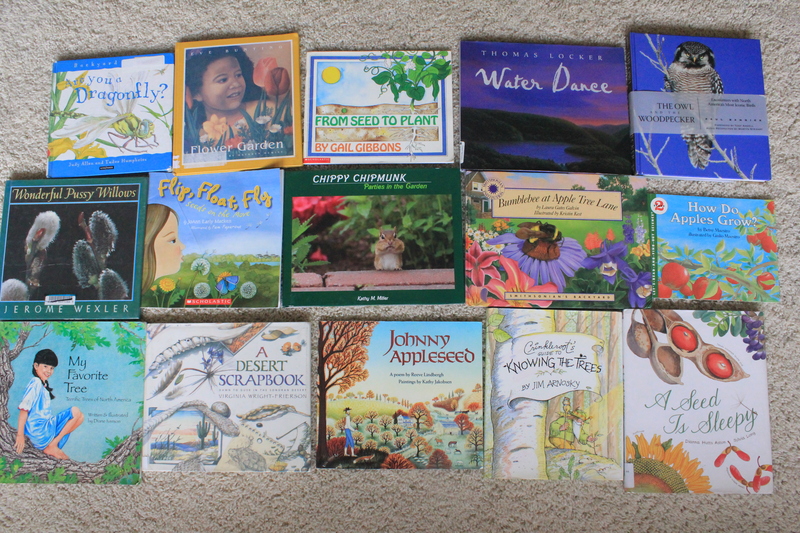 If you need some ideas for next school year, whether your child is kindergarten age or not, I would love to show and tell all the wonderful books we plan to use in each subject next fall, so that you can glean for your own curriculum planning. If you like Charlotte Mason ideas, but feel unsure about how to teach all the various subjects, brush up by checking out the post Teaching Subject by Subject on Simply Charlotte Mason’s blog. Or if you can, splurge on SCM’s thorough training DVDs, ‘Homeschooling the Charlotte Mason Way’. I do not have these DVDs but I would love to get them someday. However, reading Home Education, Volume 1 of Charlotte Masons series, has been the best thing I have done so far to gain a more solid understanding of Miss Mason’s methods, and quite inexpensive training to boot. 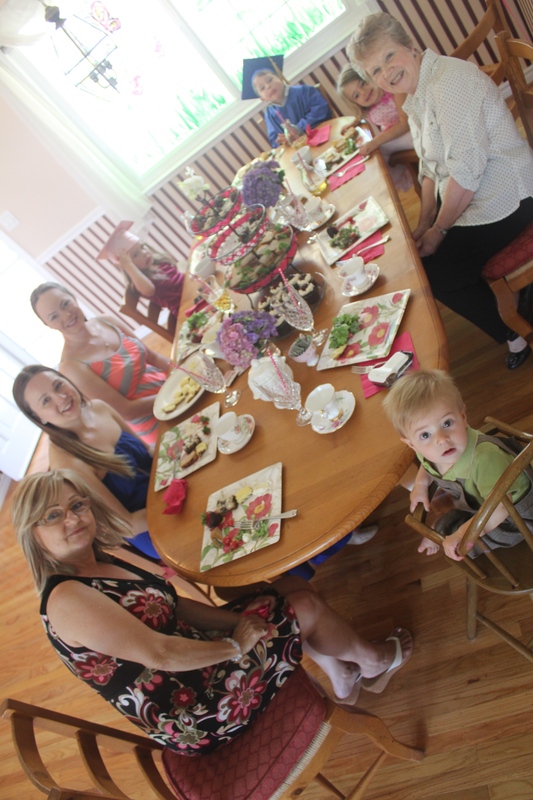 First and foremost, Charlotte Mason is a 12-year Christian Character Building curriculum. Books are chosen for the literary quality with which they were written, and even more, their ability to develop the whole person and inspire character. 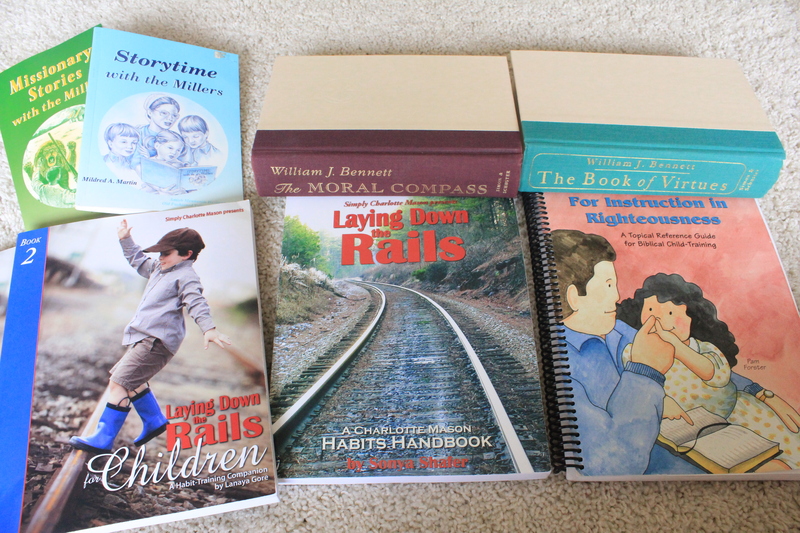 Just look into the curriculum materials I have pictured for each subject area–literature, poetry, Bible, history, geography, reading, and science–and you will find that it all teaches character development!!! For all those years that children are getting a CM education, what’s really being trained more than anything else, is their character. If you agree that character development is your aim as well, then go ahead and read on about Charlotte’s 20 guiding principles for education to see how aligned you are. Realize that some (perhaps many) of her principles go against our common educational sense, but since we know traditional modern pedagogy is failing our children, let us open our minds to trying something different, and trust that if God is leading us this direction, we will come to experience the wonderful fruits of a CM education with time and trust, just as SO many other homeschool family’s who fully adhered to CM principles have. 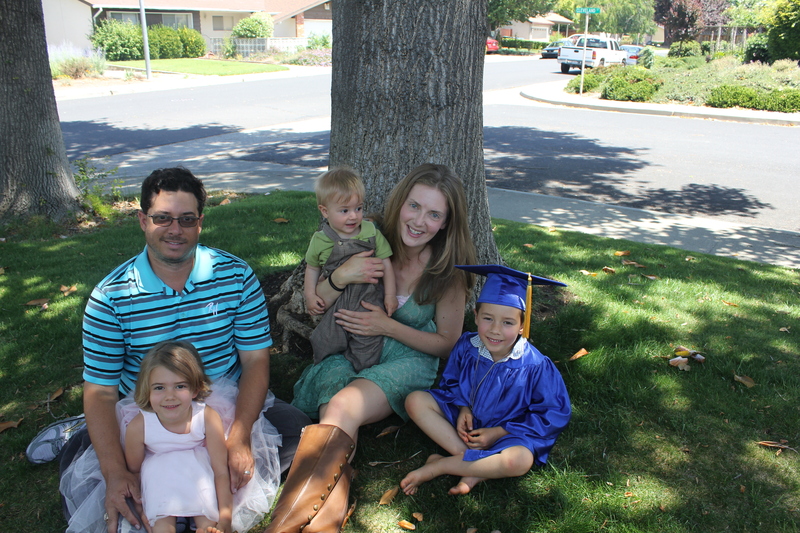 A Charlotte Mason education is more than using living books and going on nature walks. It is only when used as a balanced whole, that Charlotte’s methods give the best results. Many CM families will vouch that the ‘more or less’ way of following Charlotte Mason doesn’t yield nearly as excellent results. For best results, don’t pick and choose through her tried and tested principles and methods, making a novice assumption that some probably won’t work for you. Short lessons–I thought it best to keep going until we tired of a subject. But my kids are fresher and stay interested longer with short lessons (10-15 minutes for younger children)–they have better retention, too. Slowly reading through a book a few pages at a time instead of sitting down for a gluttonous feast of cover to cover reading (it’s oh-so-fun that way! 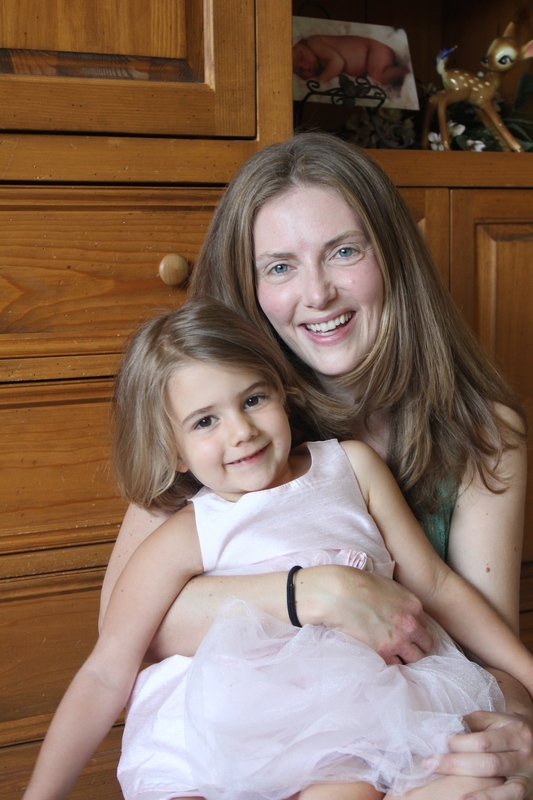 )–I thought it was ridiculous to make a child quit reading a school book if she was having fun with it. But I find that when I slow my children down with their schoolbooks, they think about the material longer, harder, and deeper. They remember details better, as well. Unit studies–Charlotte Mason really did not much care for most unit studies. She has some very amusing things to say about them. I was using a unit study curriculum when I first read the six volume series, and I thought she was mistaken. But the fewer unit study projects I do, the more real learning my kids do, the more time I have, the less mess there is to pick up! Miss Mason talks about letting the kids make their own connections. The more I step back and let this happen, the more amazed I am at how many connections the kids make that I never thought of. Dictation–I never did prepared dictation in a steady, organized fashion until around 2003. Since implementing it. I’ve seen big improvements in my girls’ spelling and writing skills. Drawing–I thought drawing was something you either could do or you could not do–not a skill that could be taught. I tried some easy teaching programs, and found that the children who had the benefit of those programs did draw better than those who did not. They are not artists, and I didn’t stick to the programs as much as I should have, but there is definitely a difference. Narration on every single reading–this is so important! I see much better retention, better interaction with the book, greater interest in the story, improved language skills, and better understanding of the material. Alright, let’s get to the point! Below I list all the areas of study we will cover in kindergarten and include pictures of lesson books, spines, reference books, living books, etc. that we plan to use for each area. I also include an “extras” section for most subjects– optional movies, links, CDs, games, extra books, etc., to further enrich our studies as time permits. My bookmarked research on the computer this year, emptied into one convenient place for you, and me too. The great thing about SCM lesson plans is that they are basic, like skeleton plans. Some people look at them and say that’s not enough, but many of us look at them and think perfect, they leave room and time to explore my child’s interests and lots of “extras” too. I think that’s important! I basically bought all books pictured on this post from either Simply Charlotte Mason or AbeBooks. Most of the “living books,” I bought used very inexpensively from AbeBooks, and saved more than I could have by buying from Amazon used (I saved about $100, most books were half the price of Amazon). So try AbeBooks first! 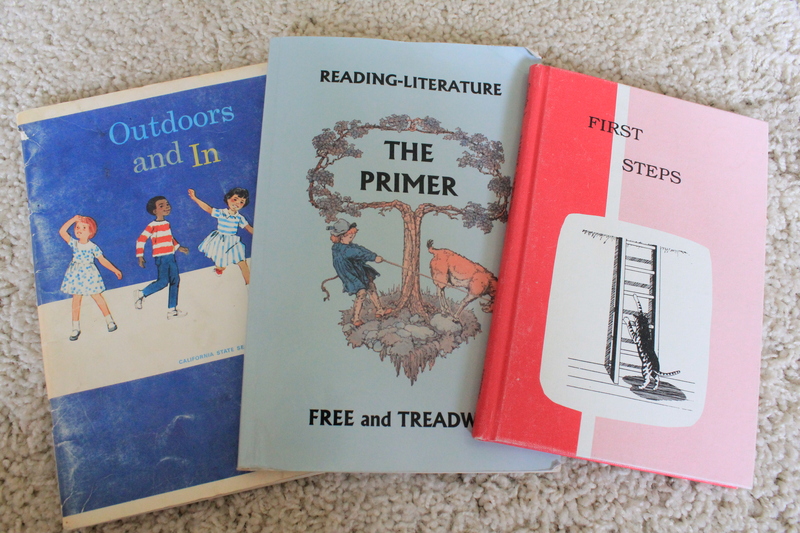 Welcome Back to School, my 2012-2013 curriculum post for “Thrilling Three’s and Fours.” Every area of study listed there has been the foundation of our Charlotte Mason preschool. 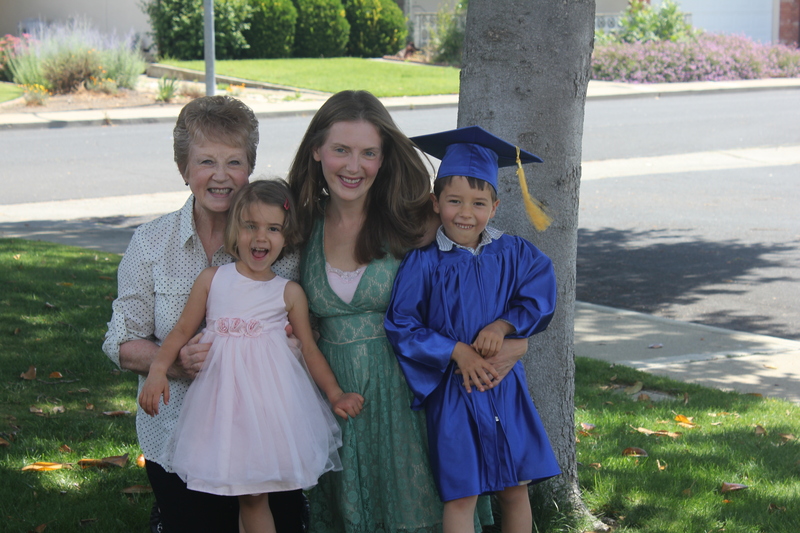 Fabulous Fours and Fives, my 2013-2014 curriculum post. 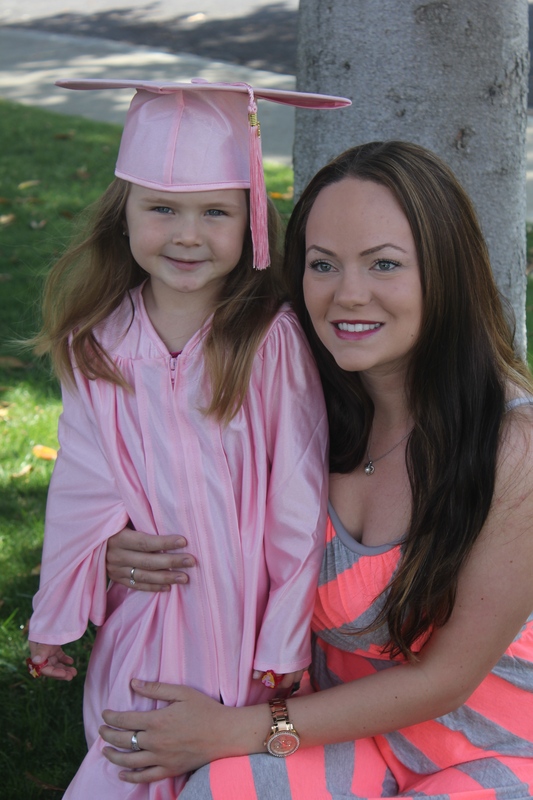 Our Charlotte Mason curriculum plans are built up from the previous year to prepare us for kindergarten this year. As far as a schedule for kindergarten for all you schedulers, I will blog later this summer, because I am still figuring that out right now! I can tell you this much: the plan is to do the next thing. Whenever we finish chapter one in a book is when we will move to chapter two. I will definitely not be scheduling out chapters and page numbers to cover each day 9 months out in advance just to make sure we squeeze every last drop out of our books by the end of the year. I feel suffocated by that kind of “planning”, and much prefer the flexibility of “do the next thing.” Life happens and staying flexible for important things that come up is an advantage of homeschool. We will just stay faithful to setting aside 4 mornings a week to do all of our book work, and 1 day a week to go out and have fun on a field trip or nature get away (Fun Fridays!). I will be planning which days of the week I plan to teach which subjects and a tentative time of day for each. Click on pictures to find book descriptions. 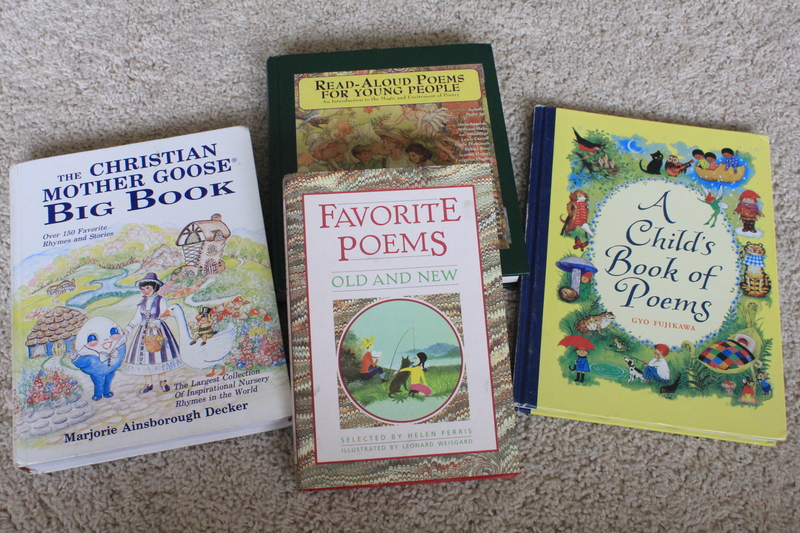 Bible: Bible story book, commentaries, hymns, scripture memory (not pictured), and Bible/History lesson plan book. History and Geography: Lesson plan books, maps, history spine (Ancient Egypt and Her Neighbors), and ……..
redshift.com — preview all movies beforehand! Childhood of Famous Americans series – Tells the stories of the childhood of many of our American heroes. Landmark series – A most remarkable series of books about history written for children. The thing that makes them great is they asked real adult experts on each subject to write them. Irresistable. A very, very few mention evolutionary ideas – the ancient history ones. We will devote ourselves to the development of one character trait a month as we have done all through preschool (see our preschool masterplan). I will choose traits that need the most development in my children from Charlotte’s list and then we will work on them over a 9 month school year. We will most likely focus on the following traits next year: neatness and order, courage, generosity, obedience, self-control, courtesy and kindness and manners, usefulness, truthfulness and prayer, thanksgiving and praise. 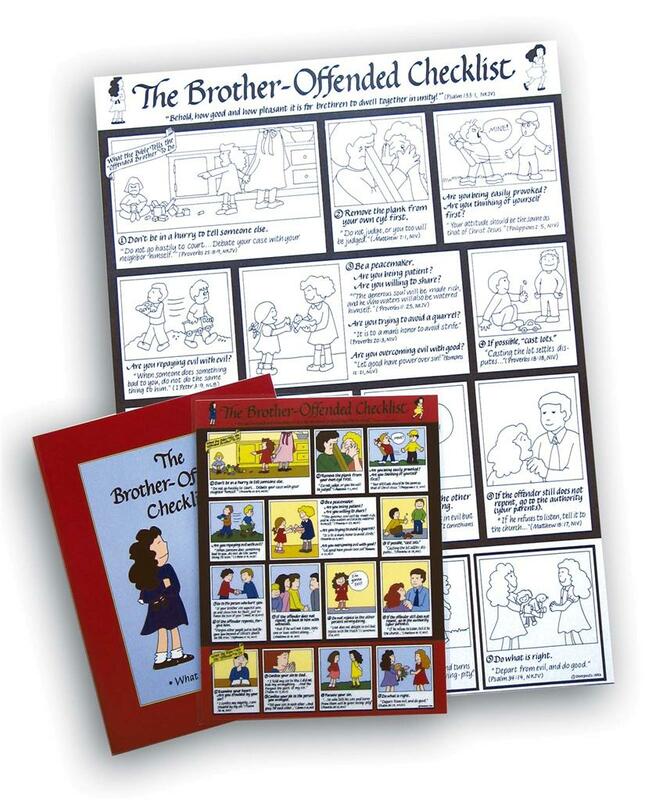 We bought these two quick reference charts from Doorposts so that we can handle discipline situations Biblically and teach our children Bible verses that apply to the issue at hand. Service opportunities (better known as chores) will become a big part of our habit training this year. Our children will learn how to be good “employees” through Service Opportunities (ie chores). 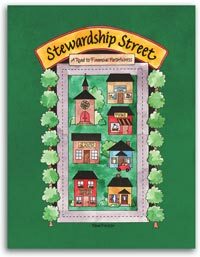 With Stewardship Street, they can learn to be faithful stewards of their earnings. We will be crafting our own milk carton stewardship street this summer, which will resemble the scene you see on the front cover (7 houses or “piggy banks” to hold earnings from seven important categories of stewardship–tithe, charity, living expenses, spending, short term savings, long term savings, and dowry). Noah has his own wallet now and can’t wait to get started. With all the crafting and chore training required to get started, this is a great summer project. That way we will hopefully have our Service Opportunities system up and running more smoothly by fall. This will be our third year using Kathy Richardson’s series, and although next year we will probably delve into all 3 books, the main focus will be on the newer content of addition and subtraction in book 2. 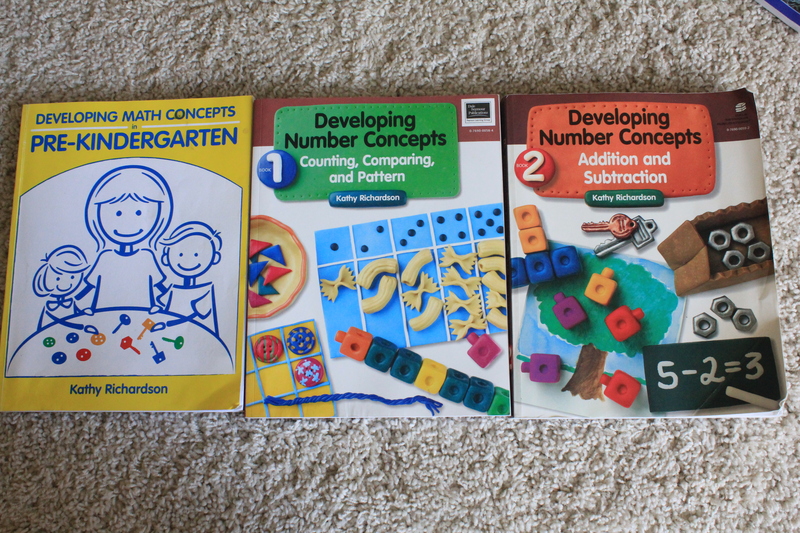 Noah has always enjoyed our math lessons from these books because they are hands on, full of variety, and the author really does understand how kids develop number concepts. You can find all kinds of sample lessons from the Pre-K book and Book 1 in “monthly lesson plans” under “categories” on our homepage. All Things Bright and Beautiful — Free art, music, and poetry appreciation studies all done for you at the blog All Things Bright and Beautiful! 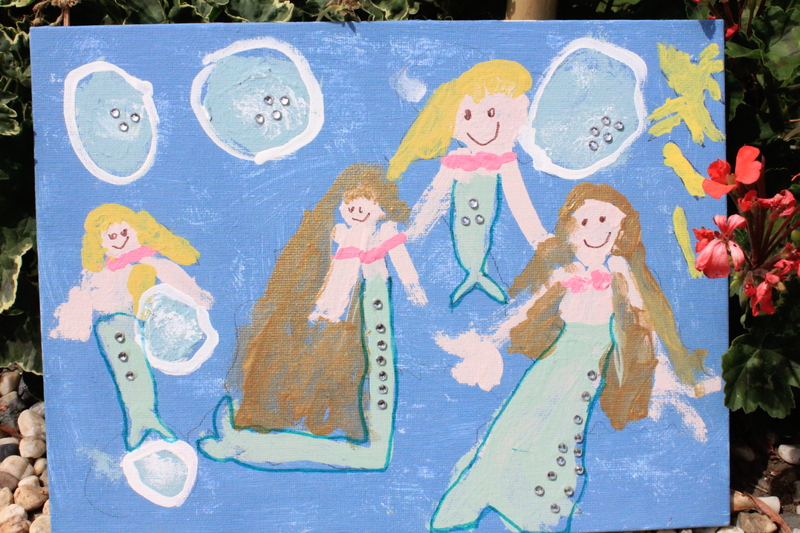 I am excited about this wonderful site provided by a Charlotte Mason homeschooling mom who simply wants to share in order to help other homeschooling families who may not have time or motivation for the artsy extras. It looks great, costs nothing, and so I think we will use her studies to beautify our homeschool mornings everyday at breakfast. 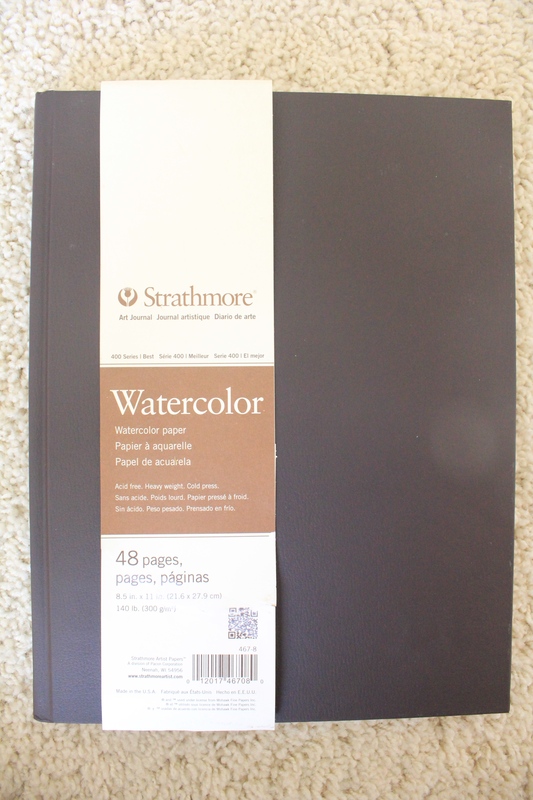 I will also try to grab a book from the library containing works from the current artist being studied on All Things Bright and Beautiful so that all our picture study doesn’t have to be done on the computer. 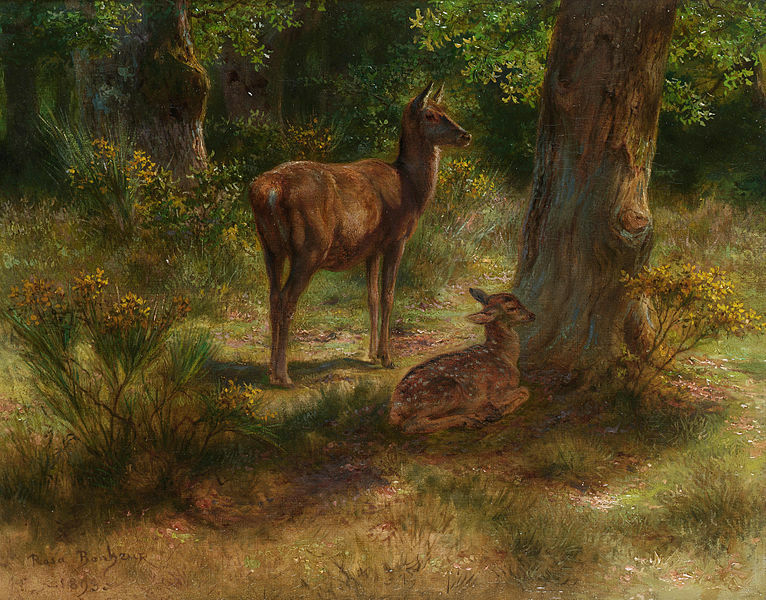 Next school year we may choose to study artists from the site that depict animals and nature, such as Robert Bateman and James Audubon, since we are really looking forward to starting up our own nature notebooks. We will also choose one poem a month to memorize and recite. Love that Charlotte includes handicrafts as a school subject! The American Boys Handy Book looks like it could be an interesting resource to use with Noah, but so far the plan is to keep using our “Activity Brainstorm Page“, which is listed on our homepage menu. The craft projects include holiday, seasonal, and themed ideas which are an ongoing collection of various ideas I admire while searching around on the internet. We are somewhat winging handicrafts because our family enjoys crafting, and I think we will always have our hands in projects whether they are assigned or not. Ideas conveniently, and sometimes inconveniently, abound as Noah never seems to stop thinking of things to make and do (nor do I). Librivox — free audiobooks, like My Bookhouse, take some of the pressure off mom having to read aloud all day! (just watch out for poor readers since audiobooks are read by volunteers). Lots of classic, well written books here since many older books can be found free in the public domain. Jungle Doctor series by Paul White – Absolutely fascinating! Very respectful of the indigenous people without pulling punches toward their enslaving false religion. Exciting, funny, engaging. Little Britches series by Ralph Moody – The poignant, entertaining story of a boy whose father dies after they move to the West and how he helps support his family and then himself. He doesn’t always do what’s right, but he learns better! Great read alouds! We will be spontaneous in selecting sentences to copy for handwriting practice. I think copywork phrases can be successfully chosen from favorite selections in literature books, scripture verses, poems, nature studies, or hymns–especially ones that really stand out to us, or our children. This way handwriting is more personal and inspiring. Picking selections ourselves should really only take a few more minutes than using pre-selected selections in a copybook. 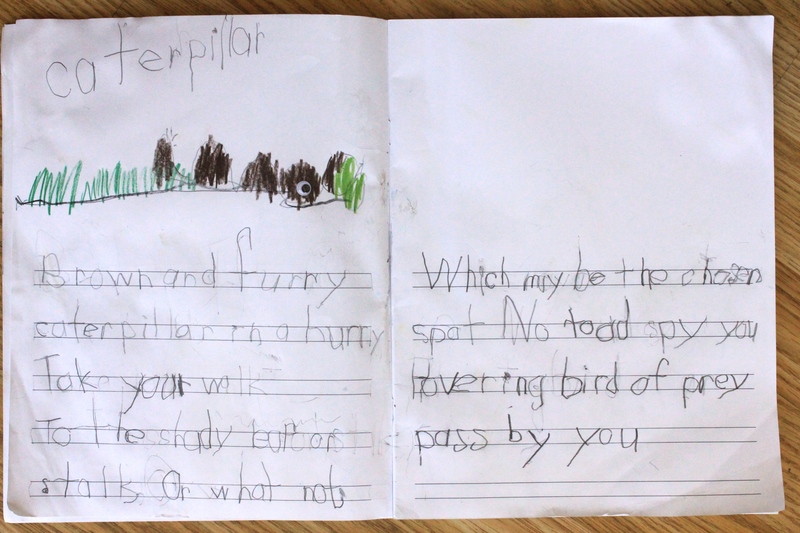 I am thrilled about nature study! Outdoor Secrets is so very sweet for littles. And its so much fun getting out in the wild blue yonder on all kinds of outdoor adventures. Beautiful living books used with Outdoor Secrets Handbook. 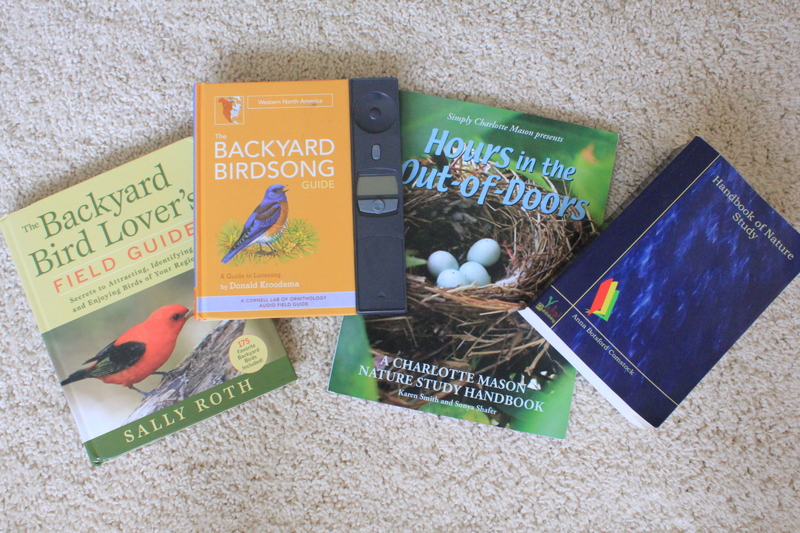 Field Guides and reference books for nature study/walks. I still need to get a lot more field guides. Nature Studies out in the field includes regularly notebooking a few words about intriguing nature finds, and learning to draw/paint one small find at a time with watercolor pencils, watercolors, or colored pencils. I plan to keep a notebook alongside Noah since Charlotte recommended mothers to experience notebooking alongside their children. Highly acclaimed 106 Days of Creation and its companion books for whenever we finish Outdoor Secrets. 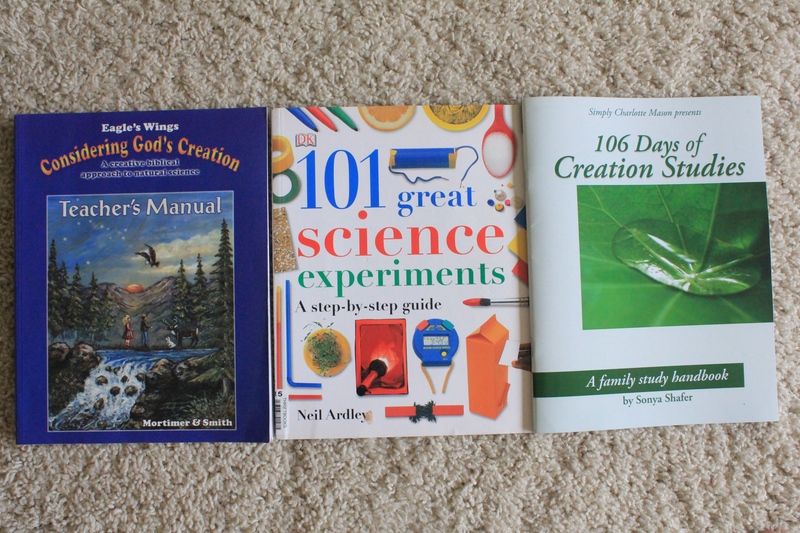 Moody Science DVDS (set of 19)— I really want to get this set of great creation science videos! Worlds Biggest Dinosaurs — A creationist dinosaur museum in Southern California. See their recommended article and booklist. Monarchs for kids at Ardenwood Historic Farm; also can see monarchs over wintering at Pt. Pinole Regional Shoreline, Muir Beach, or Natural Bridges State Beach. Noah has never been into role playing until recently. Now he says he wants a Roman Soldier costume, an army uniform, an astronaut costume, a new fireman costume, and an armor of God/soldier of Christ costume. Oh my! The cute little basket we made from a pint sized cream carton and scrap book paper. 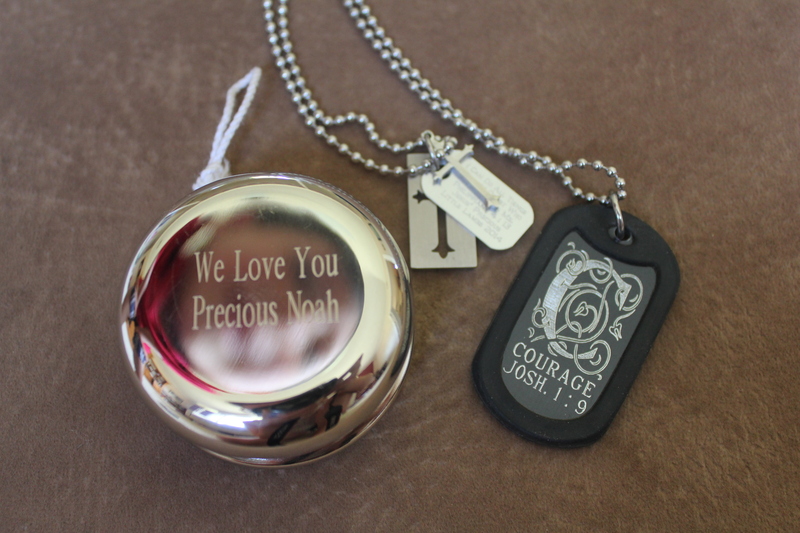 “I am Sorry You Fell Down Faith,” Gift from Noah and Tayler, and then a minute later…..
“I am Sorry You Tripped Over Me Tayler,” Gift From Faith (and Noah). A minute later Noah Gets hurt…..
FYI: The Black Widow has a Brown Widow Cousin. Also pictured, the tiny harmless male Widow, killed by the female when Dean shook her web (all 3 found living under the kids’ sand table). Water Snake!! Found by a calm, cool, and collected Mr. Eyes. So Much Fun Collecting Tadpoles and “Frog Eggs”! Congratulations to all of our graduating friends and loved ones! Whether it was graduation from school, homeschool, college, preschool, or anything in between, you’ve made it, and we are celebrating with you! 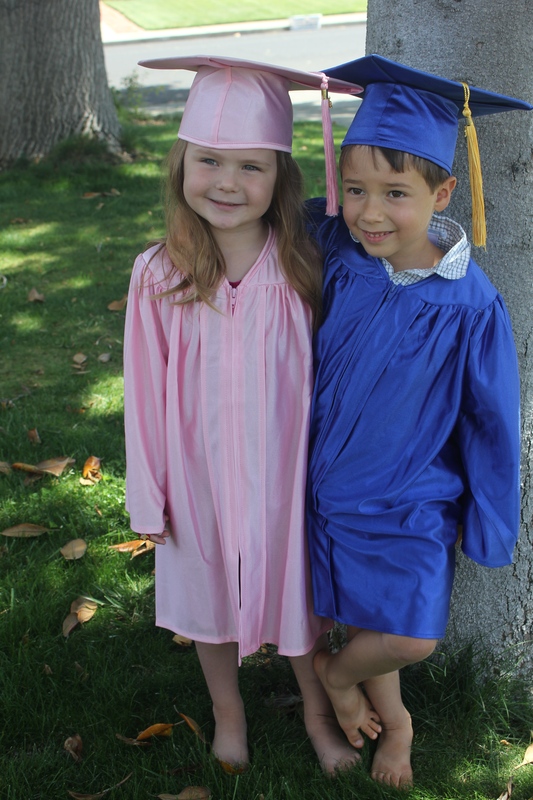 We couldn’t be prouder of our little ones, Tayler and Noah, graduating here from Jesus’ Precious Little Lambs Preschool, and we just couldn’t let the event pass by without a party and cute graduation gowns. 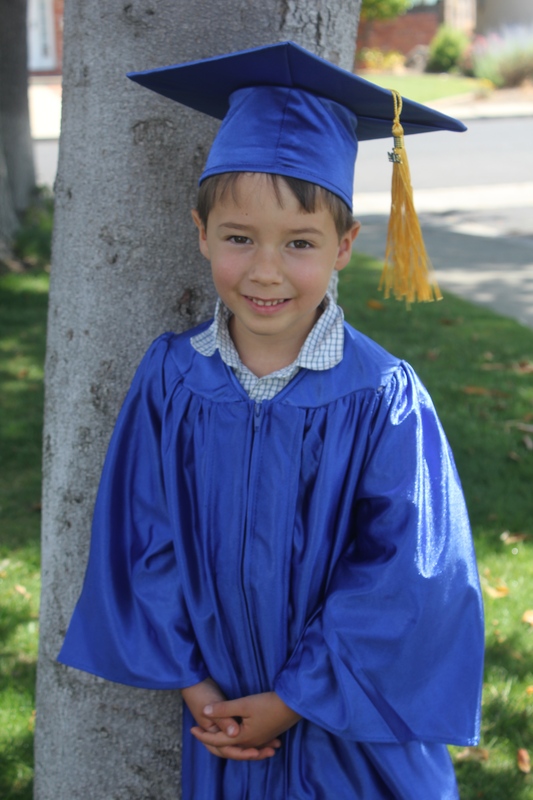 Noah now thinks that “graduation” would be a great way to end every school year– and why not when it involves yummy treats, special presents, and fun decorations!? 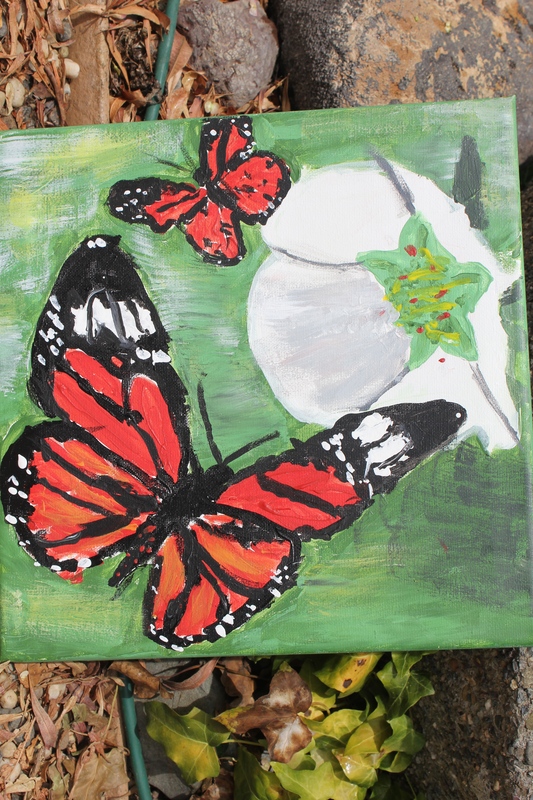 Our theme was butterflies because our kids are spreading their wings and fluttering up to new heights–aaaaand because we did butterfly art all month, so it made decorating easy. 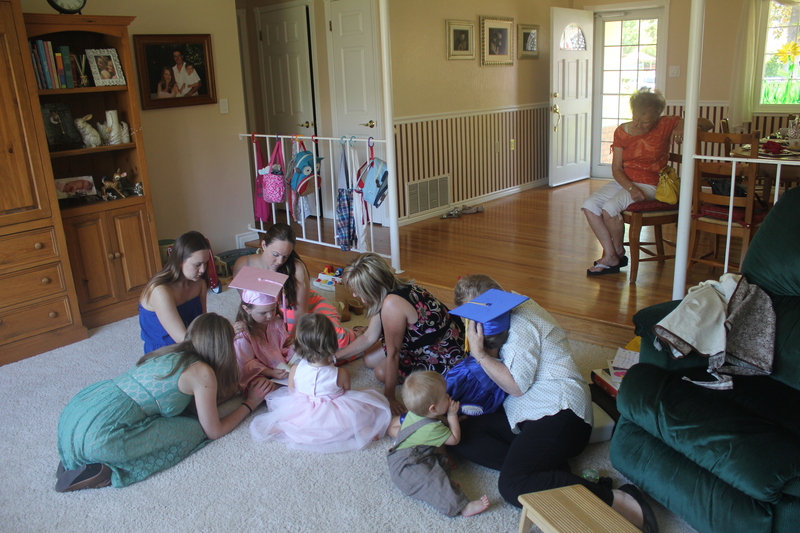 🙂 The party was definitely not all fun and games as Noah and Tayler had some final requirements during our ceremony in order to officially graduate–recite a poem and memory verse, each read a story, and sing a song for the enjoyment of everyone present at the party. The best part was that graduation was so much more than a party, it was like a rite of passage, a dawning of a new day, entrance into a higher period of training towards Christian manhood and womanhood. Accomplishing this through a time of prayer during the party was crucial as we spoke over the futures of our graduates. And it really did feel like God sealed all the good work He has done heretofore, and ushered us into a brand new season. All Praise and Glory to God!!! 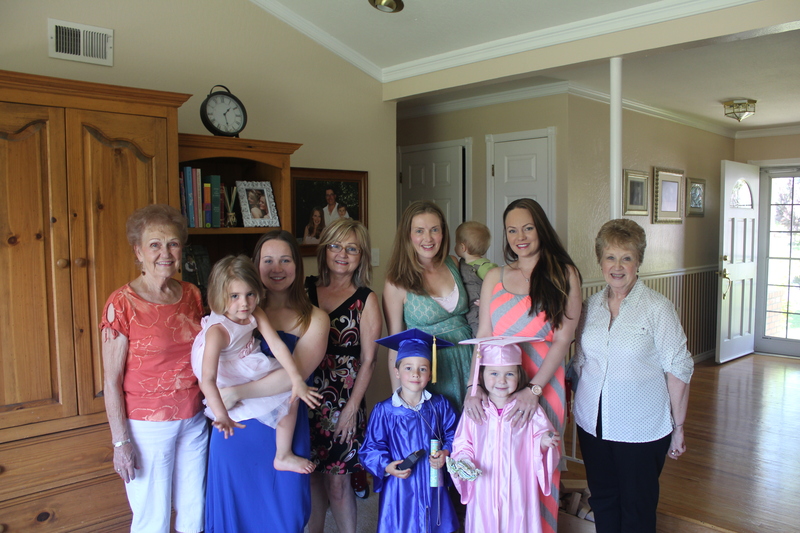 It is important for us all to recognize the gravity of the moment as we graduate our graduates, and to intentionally create a sacred moment in time in order to significantly direct the course of our children’s lives. A celebration is an opportunity to mark the point in which a boy becomes a man……. or even when a little boy becomes a big boy. A purposeful rite of passage celebration can allow for a clear point of transition in ours and our children’s hearts, an important mental shift, public affirmation and acknowledgement, a sense of permission to move forward, the articulation of a goal line, and peace for those questions, “Am I doing a good job?,” “Am I doing what God wants?” It all starts with a private heart to heart moment, when we sense that the timing is right, to share how we feel about our child, what we see for him, and then use the opportunity to speak a blessing. 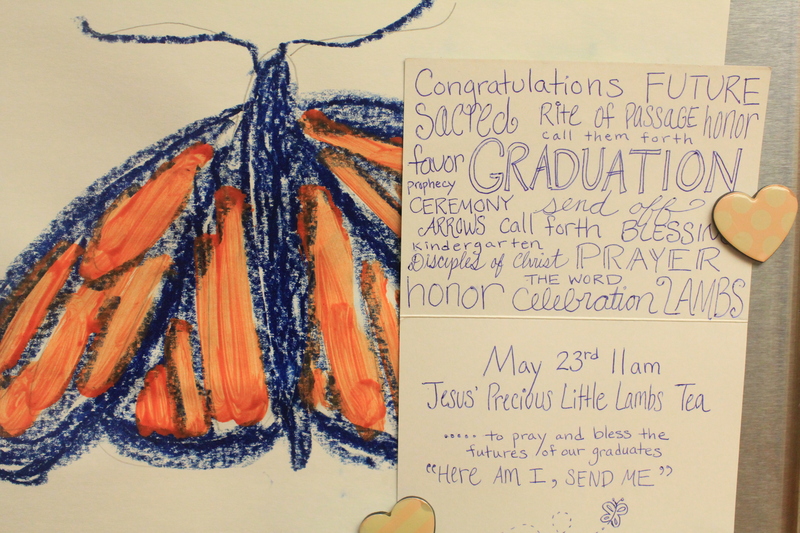 Then, we can create a meaningful moment within a purposeful gathering or celebration, such as a homemade graduation, to publicly affirm our children so that our words will be cemented in their hearts. The training period for manhood and womanhood may be shorter than we realize, so lets mark it at the very beginning, and then get started without delay. Why is it shorter than we might assume? Well, when is a boy a man, and a girl a woman? When does a person reach maturity? According to the Bible it has nothing to do with having a drivers license, voting, or a job, but rather having wisdom in knowing God and his will, and being able to carry it out in your life (Prov. 1:1-7). True maturity is spiritual maturity. At 12 years old Jesus had his own rite of passage into manhood. Jesus, our Savior and Representative, shows his maturity in his understanding of the Bible and his understanding of his role in Luke 2:41-50 (The Boy Jesus in the Temple). Wow, age 12. Let’s pray for the same uncommon growth in spiritual maturity to occur in our children as we enter or continue on in this special season of training them up!!! ….youths without blemish, of good appearance and skillful in all wisdom, endowed with knowledge, learning, and competent to stand in the king’s palace…. As for these four youths, God gave them learning and skill in all literature and wisdom, and Daniel had understanding in all visions and dreams. …..and I have filled him with the Spirit of God, with wisdom, with understanding, with knowledge and with all kinds of skills. But it is the spirit in a person, the breath of the Almighty, that gives them understanding. When he was twelve years old……. [he was found] in the temple courts sitting among the teachers, to them and asking them questions. Everyone who heard him was amazed at his understanding and his answers. And He will delight in the fear of the LORD…. Tayler’s Gift for Mamama is Awesome!